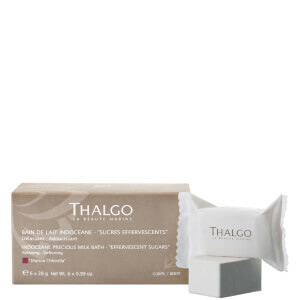 Enjoy a relaxing bathing experience with Thalgo Indocéane Precious Milk Bath Soak. The milky bath sugar transforms on contact with water to create luxurious opalescent bath water; its calming fragrance helps to relieve feelings of tension, and its protective properties leave skin feeling soft and supple. 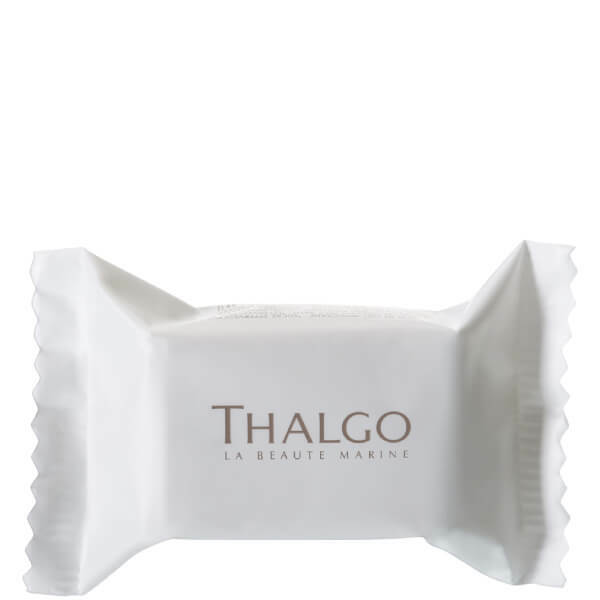 Lie comfortably in the bath and place a bath sugar behind your back and enjoy the gentle effervescence. The best temperature for relaxation is 37°C. Sodium Bicarbonate, Citric Acid, CI 77891 (Titanium Dioxide), Monosodium Citrate, PEG-150, Sucrose, Maltodextrin, Parfum (Fragrance), Talc, Hydrated Silica [nano], Silybum Marianum Seed Oil, Algae Extract, Benzyl Benzoate, Benzyl Salicylate, Coumarin, Hexyl Cinnamal, Benzyl Alcohol, Limonene, Linalool, Alpha-Isomethyl Ionone.